The most important day for your home comfort system is the day of its installation! I would rather have an inexpensive system installed properly then a high end system installed poorly in my home. 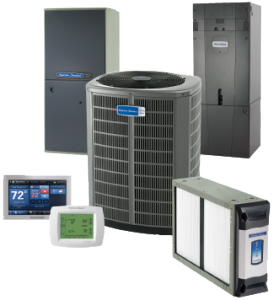 There are three factors that determine the value of your home comfort system: the size of your heating and cooling system, its efficiency, and your indoor air quality. There are many factors that go into the size of your HVAC equipment, such as the square footage of your home, whether you have a basement or not, how many windows your home has, which direction they face, how much insulation is in your wall and attic, and how air tight your home is. These factors can change the price of your system by as much as $500. Fresh combustion air from outdoors. Properly sized flue and drainage piping. Each can have range of cost based on your home, and how difficult these updates are. There are furnaces with one or two heating levels and modulating furnaces are used to match the capacity of heat needed to heat your home at the same rate your home loses heat. Last, but certainly not least, is your indoor air quality. Environmental Protection Agency (EPA) studies have shown that the air inside today’s homes is 10-100 times more polluted than outside air, and as homes become better insulated and more energy efficient, the problem only gets worse. Dirty coils, blowers, and burners in a home’s heating and cooling system are a major cause of higher utility costs and often lead to system failure. The accumulation of household dust, smoke, pet hair and other airborne pollutants block the air passages, making the system work harder to deliver the comfort you should expect. When we service your system, whether it be for a repair or an annual checkup, we will measure the tolerance of the vital components to help prevent future failures and costly repairs. Repairs are less expensive if caught in time. We will also discount repairs if they are done during our preventive maintenance checks. 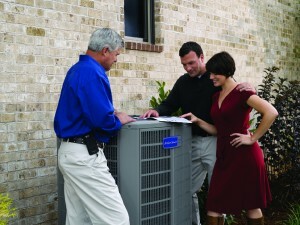 Call Now for a system tune up at an affordable price. From tankless to standard water heaters, we service and install them all!